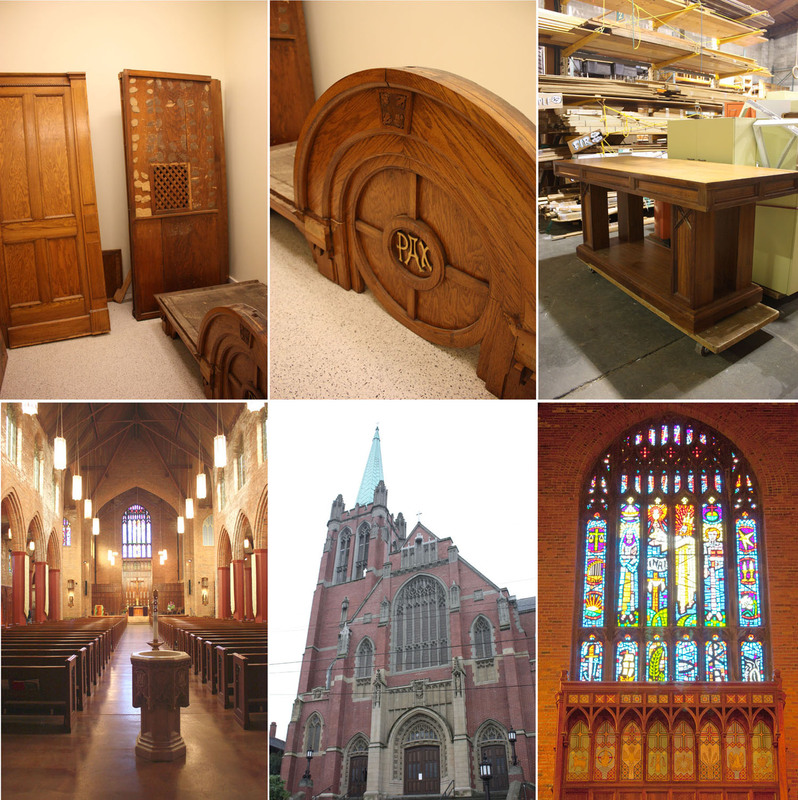 This white oak confessional was originally built in 1885-90 for Saint Providence Hospital (Providence Hospital today). It was then moved in October of 1908 for the opening of Blessed Sacrament Catholic Parish, in the University District of Seattle. The RE Store’s salvage crew carefully removed it in pieces from its recent location – as robes storage behind the scenes at the church. The crew also brought in a walnut side altar table, originally built for the church in 1960. A beautiful English Gothic style Dominican Parish, the weight and seriousness of the church could be felt by the crew – lending itself to perhaps a more solemn salvage job than is typical. We aren’t sure if the confessional has gone through any rites or rituals to relieve it of its official duties but we are sure it has some stories to tell! Come see it and hear for yourself in the bay of The Seattle RE Store.